Come and treat yourself on a Wednesday and Thursday to delicious vegetarian and vegan food, gluten free options and weekly hot or cold specials. 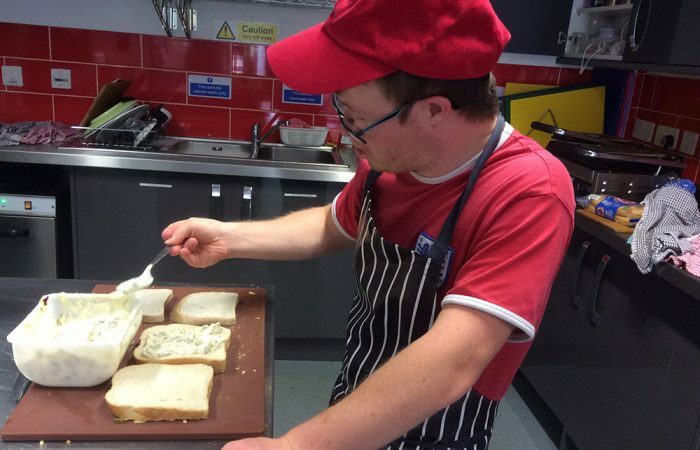 All giving vulnerable young people and young adults cooking and catering skills. 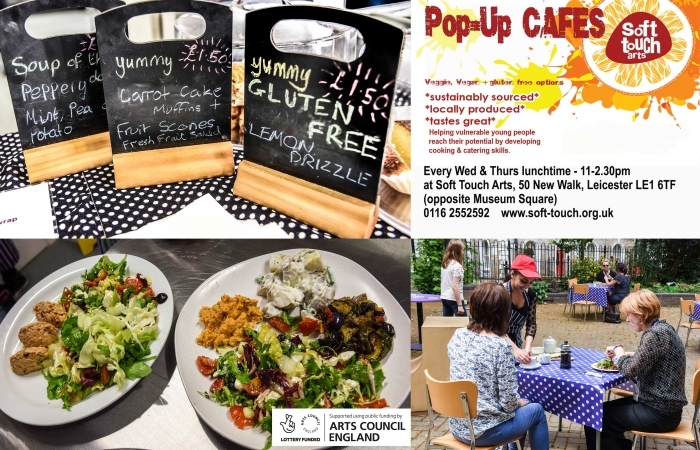 Wednesday’s pop-up is a partnership project that involves young people from Ellesmere College. Each week our team of chefs, young people and volunteers devise their own special dishes in addition to the regular seasonal menu. The Thursday cafe involves volunteers. We use fresh ingredients and aim to reduce waste, so sometimes if a dish is popular and we are very busy a dish may run out. We apologise in advance if this is the case. We are happy to take pre orders but these should be made by 11am on the day. We can also deliver to offices in the New Walk area for orders over £20 – please call 0116 2552592 to arrange.